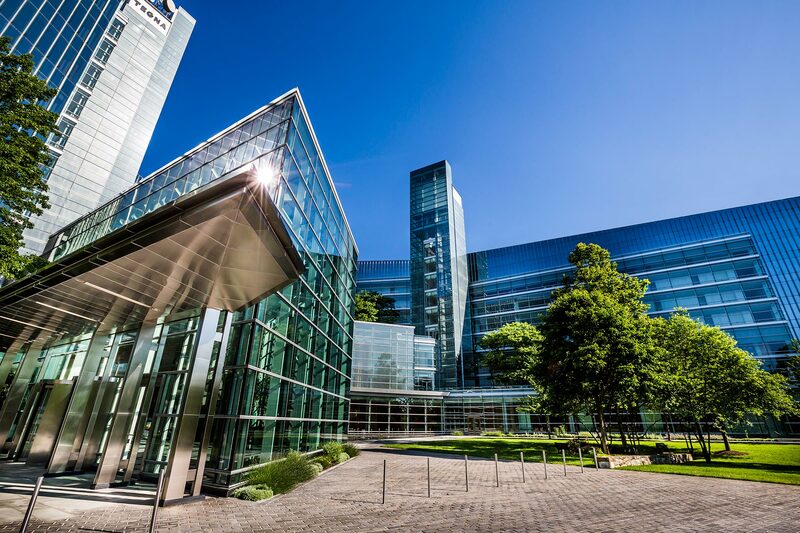 and construction process of Valo Park. 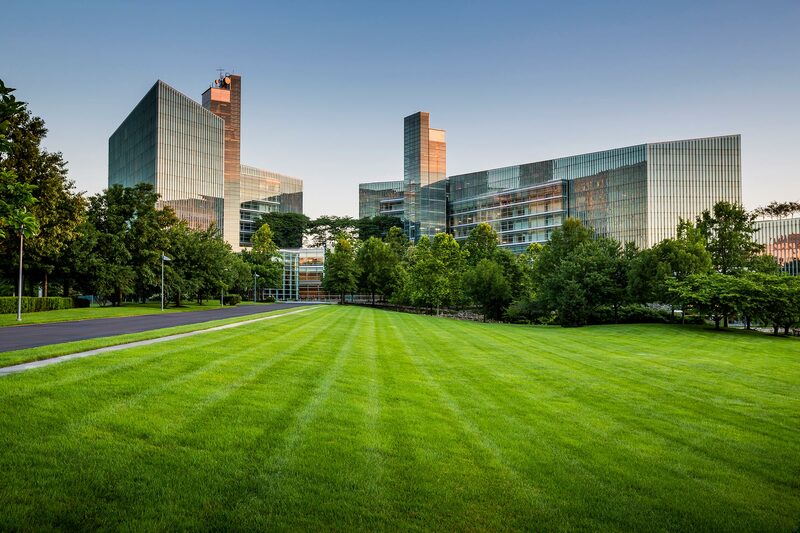 Valo Park was developed in partnership with Hines and completed in 2001 resulting in a model 16-acre campus environment that weaves site structure, open space, and architecture together into a coherent sense of place. 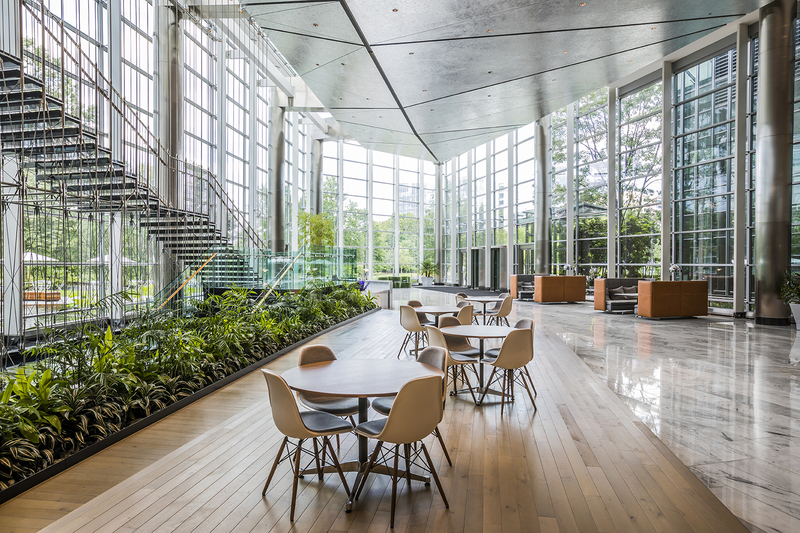 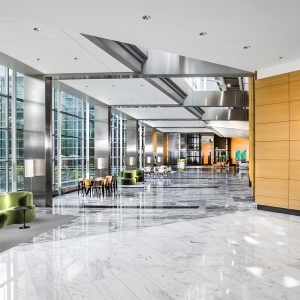 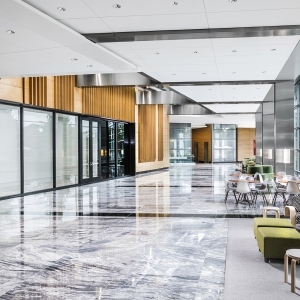 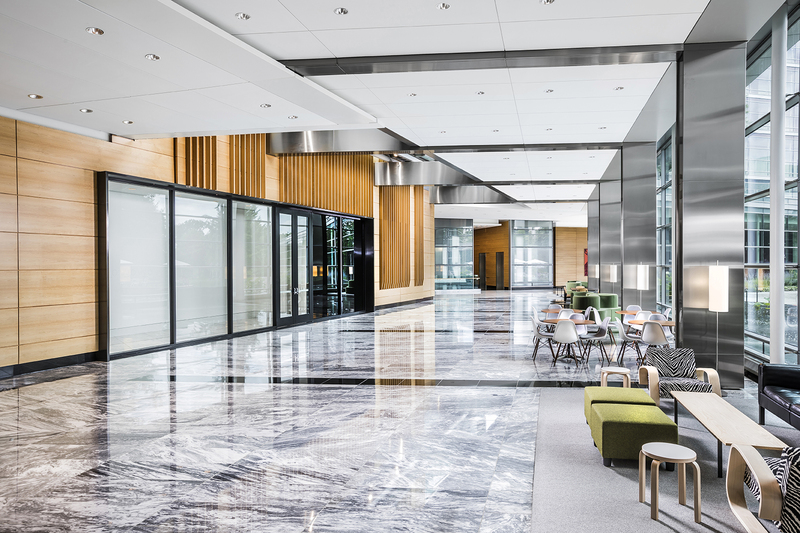 Its distinguished design by Kohn Pederson Fox separates Valo Park from other office properties within the greater Washington region. 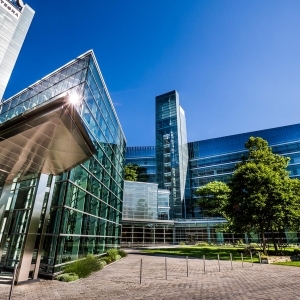 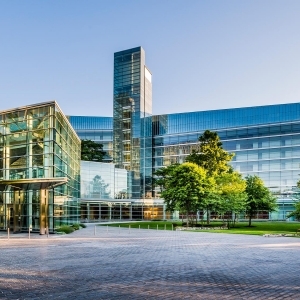 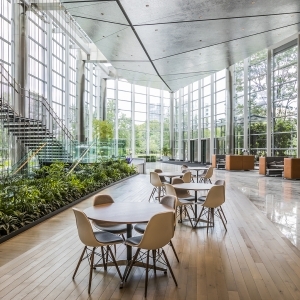 The two office towers are wrapped in a stunning glass curtain wall whose transparent, acid-etched textured glazing tastefully refracts light and reflects the surrounding serene landscape. 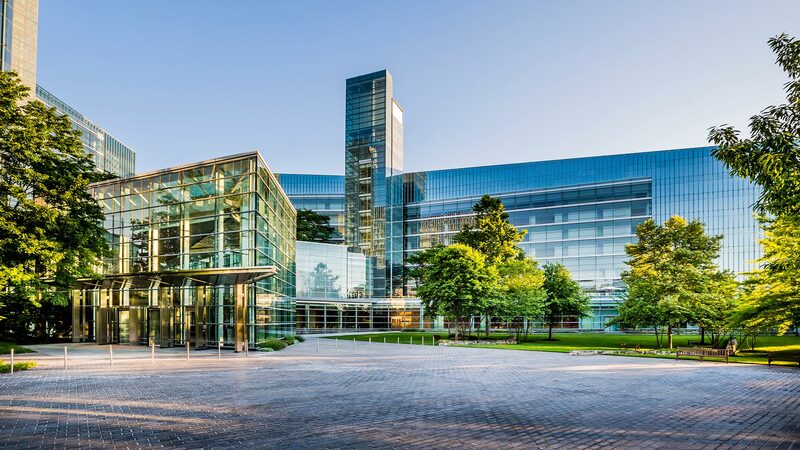 The dramatic focal point of the complex revolves around two exterior glass elevator shafts that span the full height of the structure and stand illuminated at night projecting an unforgettable image. 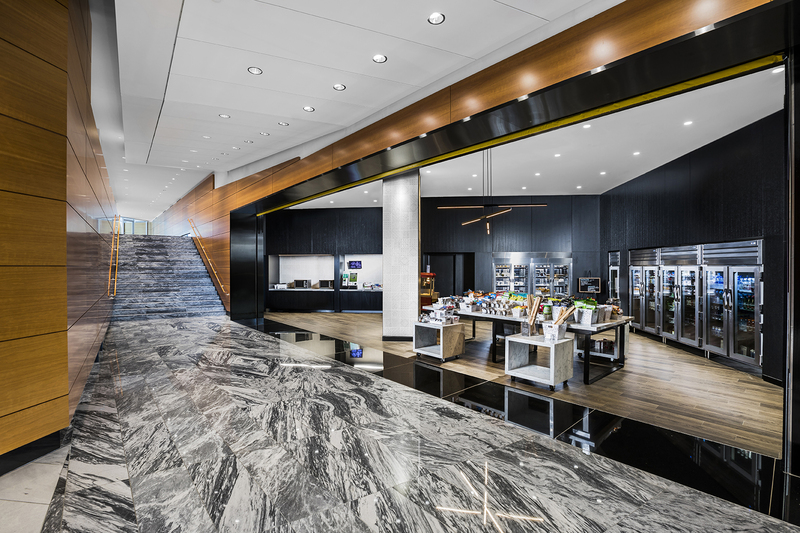 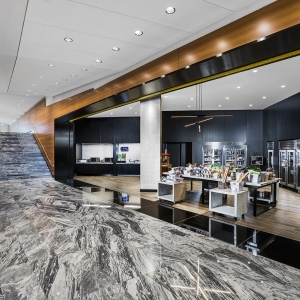 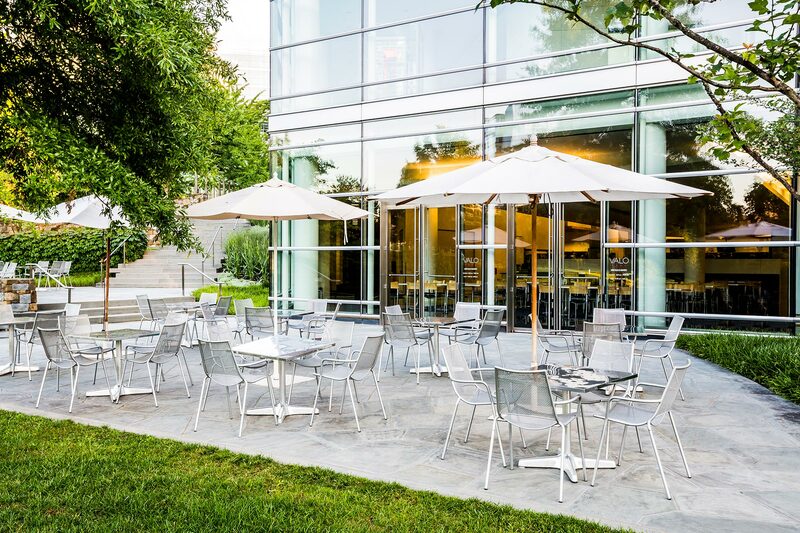 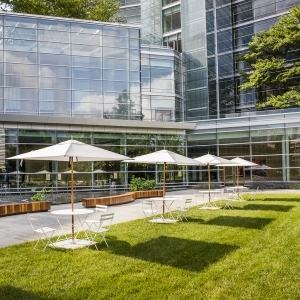 Flanked by a skillfully designed plaza and landscape terraces, the building further explores a wide range of textures, from rusticated fieldstone and metal to warm rood and aluminum leaf. 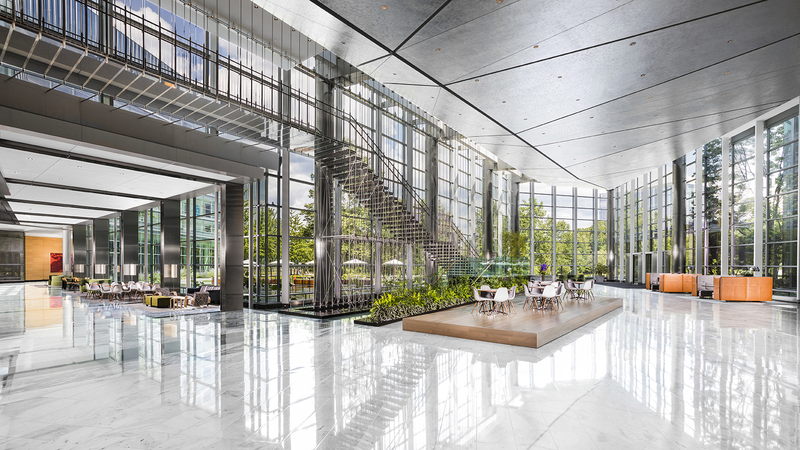 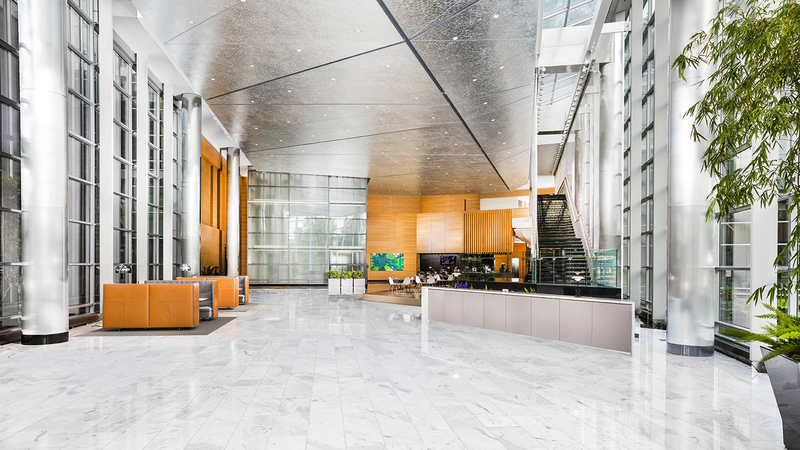 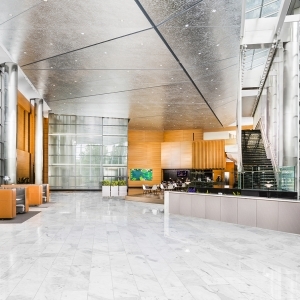 The interior core design by Lehman Smith McLeish connects the two distinct office towers through a centrally located transparent glass enclosure that encourages a sense of energy, collaboration, and mobility. 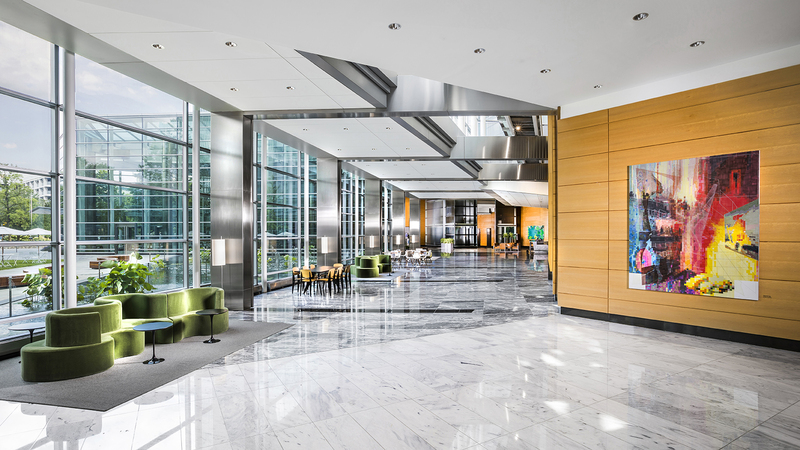 The lobby of Valo Park, unrivaled in quality, is highlighted by a grand staircase that drops graciously from the skylight. 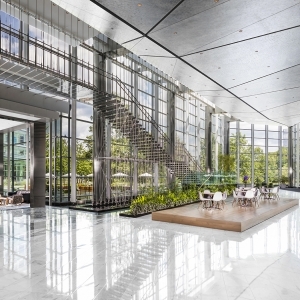 Constructed with 132 stainless steel rods placed only inches apart, the staircase emits the visual illusion of strings on a harp while each step is cloaked with five inch thick treads of polished Emerald Pearl granite. 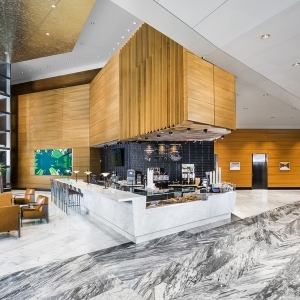 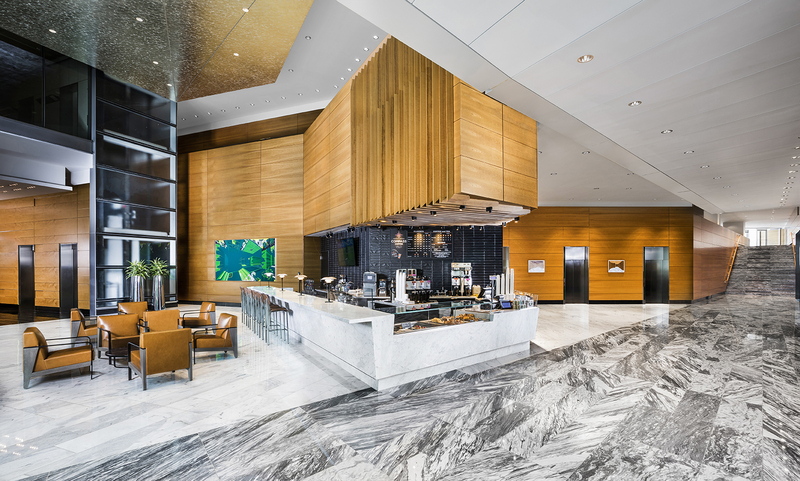 Furthermore, nearly 16,000 SF of the lobby and adjacent corridor walls are masked with cherry millworks, hand-selected and imported from Europe. 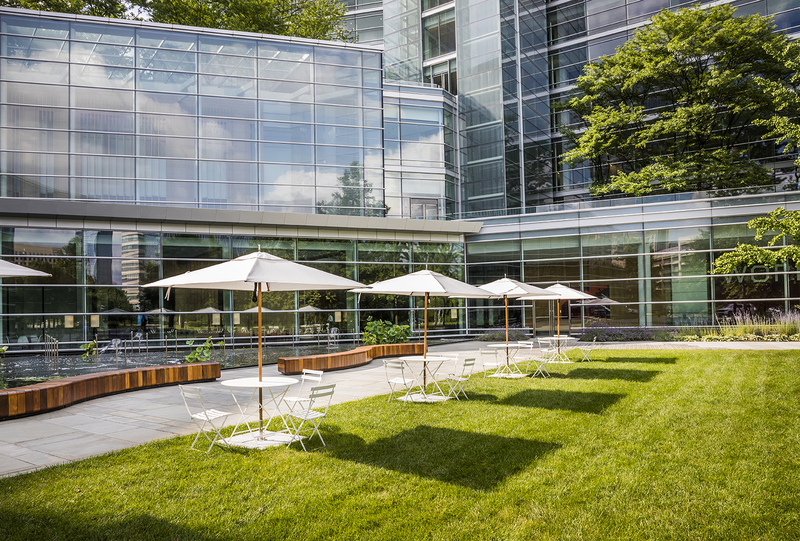 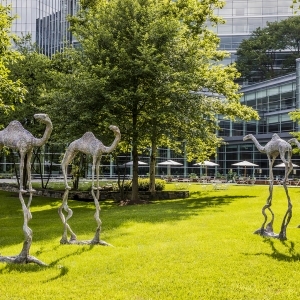 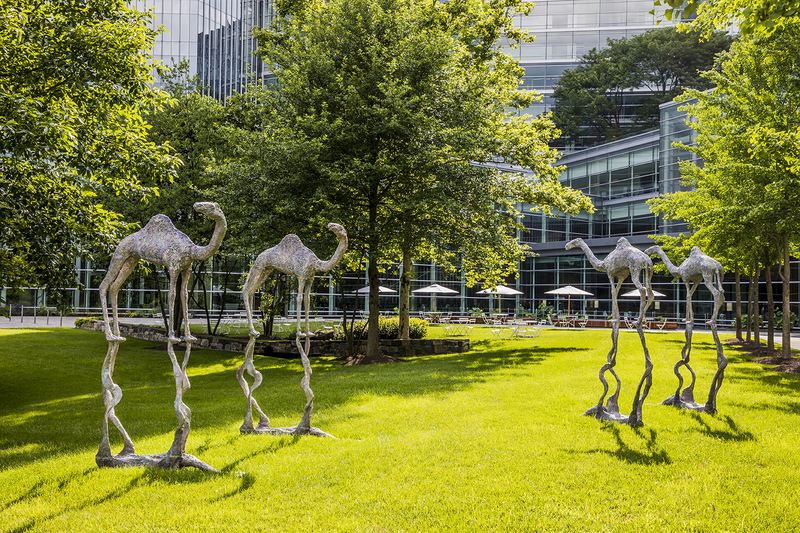 From the impressive panorama upon arrival to the terraces, rooftop gardens, and tranquil lake setting, Michael Vergason Landscape Architects provided the finishing touches for a one of a kind campus. 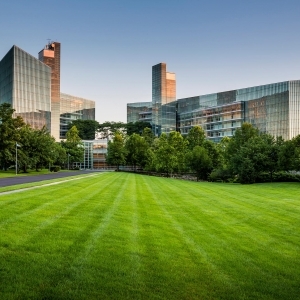 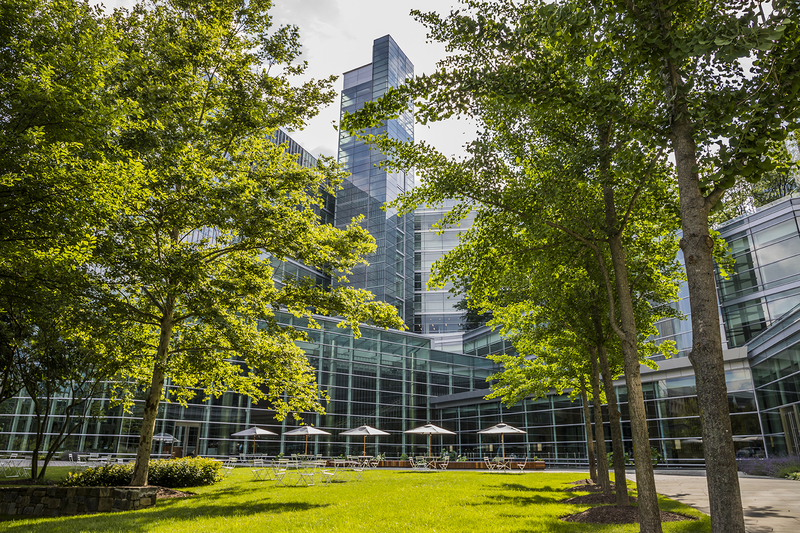 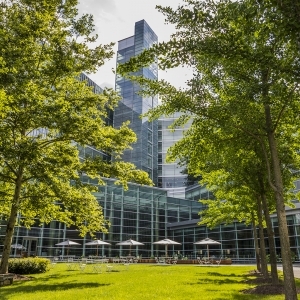 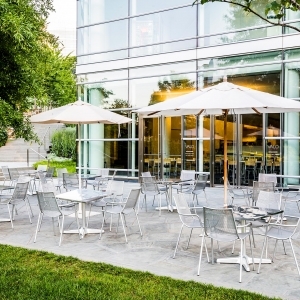 A wide variety of trees and native shrubbery populate the campus while two acres of exterior green roofs and terraces provide tenants with immediate access to outdoor spaces from nearly every location throughout the building.